Each year, intentionally decide on your expectations for this holiday season. Those can include everything from if you’ll travel to how much you’ll decorate to whom you’ll send presents to what you’ll cook—or not cook. It’s important to put everything on the table so that you can make choices that preserve your sanity. If you have a major launch at work or a big life change like moving residences around the holidays, you can decide in advance to cut back. If you have less going on, you may want to do something extra like hosting a party. Traditions are lovely but not everything has to happen every year. A decision to not do something at all can save you hours of time and greatly reduce pressure. You don’t have to have all of your presents bought by Thanksgiving. But starting early when it comes to holiday plans can have enormous benefits. I recommend getting serious about what needs to be accomplished by the week after Thanksgiving at the latest. If you have a complex holiday schedule, start planning by the beginning of November. Make a list of any relevant tasks such as presents to buy, cards to send, activities to plan, or other miscellaneous activities like wrapping gifts or stringing lights. Then block in time to get these activities done. For example, I start making notes in my calendar to move ahead on these tasks on the evenings and weekends by the end of November. Also if you’ll be spending some significant time out of the office, start planning for that by the beginning of December. Keep the end goal in mind and, where you can, simplify. Most people at your office party won’t have a significant preference for your homemade salsa versus store-bought salsa. Save yourself at least an hour and get something from the store. Or instead of personalized gifts for colleagues—if you have a gift-giving kind of office—buy everyone the same thing. Decide once and you’re good to go. Pay the little extra to have gifts wrapped. And if you host a party, have everyone bring something instead of doing all the cooking and baking yourself. In all situations, ask yourself: What’s the goal behind these actions? What’s the simplest way to get to that goal? Then take that route. If you end up with extra time and want to do something a little fancier, you can. But it’s best to get the most important activities done and then decide from there if you want to do more or simply kick back and drink some eggnog. In certain cases, you may want to plan an especially thoughtful gift for a friend or family member. 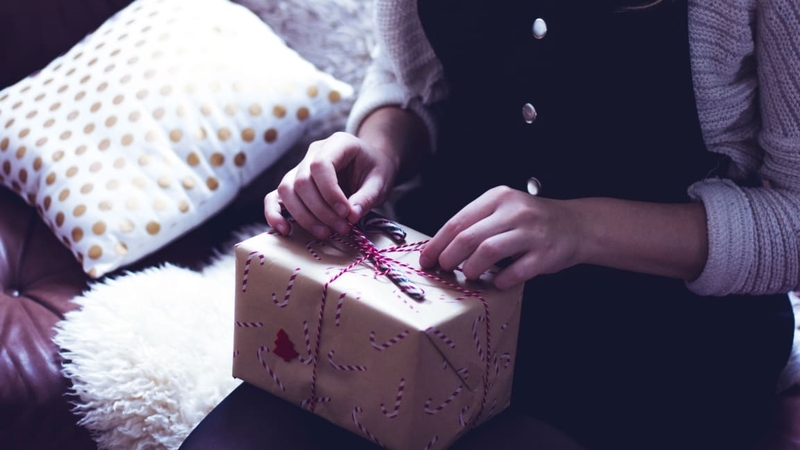 But even in those cases, get clear on which elements are most essential so you can have the gift ready on time without pulling all-nighters. And to really take the pressure off of the holidays, you should not only plan to start early, but also plan to end early. Whenever I have waited to wrap presents until right before an event, I’ve always regretted it. Aim to finish important items at least the night in advance. Get those presents wrapped, cards written, chili made, and whatever else needs to be prepped, as far in advance as possible. The reason you feel rushed typically isn’t because of how long activities take but because of when you’re doing them. Ten minutes to get items for your office party packed up is no big deal the night before. In the morning when you’re about to miss your train or arrive late for an important meeting, it’s nerve-wracking. If you’re looking to be more merry this holiday season, decide on expectations, start early, simplify, and build in margin. You don’t have to do everything, but you can enjoy what you do decide to do during the holidays when you follow these secrets.